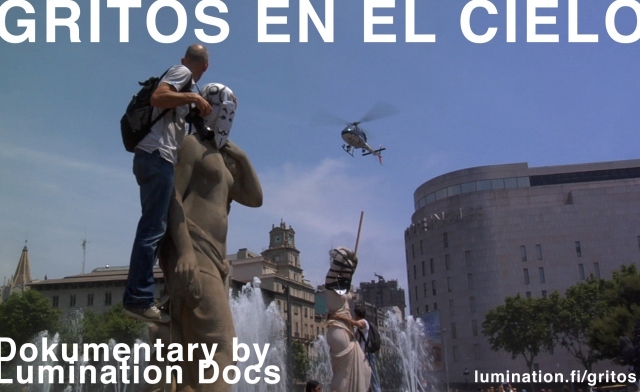 Gritos en el Cielo (Cries in the Sky) is an observational documentary that looks at the people’s movement that emerged in Barcelona in May 2011 and defied the passivity of society by occupying the city’s main square. As the movement grew stronger, the government and the media repeatedly tried to discredit it and force it to end violently, but its members - Barcelona citizens - decided to resist peacefully in order to bring about real change. The film includes many dialogues between people, police, ideologies, political and economic forces and the government. 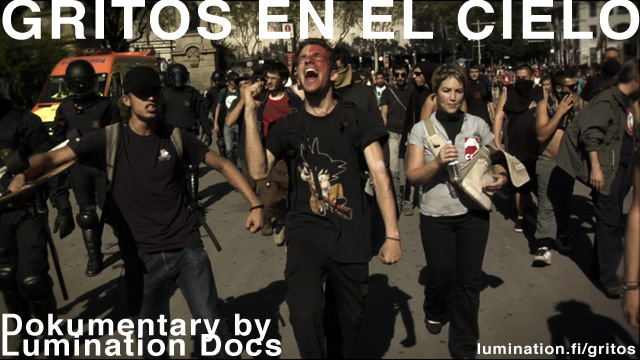 The story revolves around Plaça Catalunya, the epicentre of the movement in Barcelona. During the months that the square was occupied, the participants demanded real democracy and the reformulation of the country’s economic and political structures.